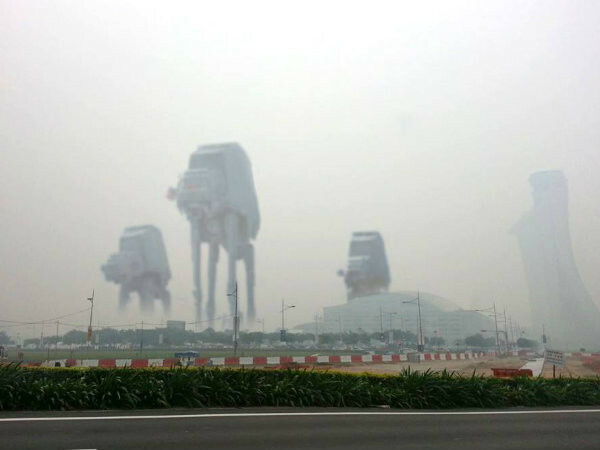 Gotta love Singaporeans' sense of humour with regards to the haze as seen from the photoshopped image above. Jokes aside, the haze this year is really bad (went up to PSI 300?!?!) and is around a lot longer than previous years. My eyes have been itchy, my eczema has been flaring up and I have been needing to clear my nose every morning, my bestie's eyes swelled up despite her washing them with eye wash, a friend's daughter fell ill (eyes, throat...the works) and Jo from Strala had nosebleeds because of the haze too. So, besides staying at home with the air-con and air purifier on or lounging around with a N95 mask, there are many things that one can (and probably should) do to combat the haze and coming out of it in tip top condition. 1. Drink loads of water. That seems like a no-brainer but as it is, we normally don't consume enough water on a daily basis and with us breathing in all the dust and toxins, it is more imperative that we load up on the H2O. Moreover, the haze traps heat and causes the air temperature to be warmer than usual, meaning that you're losing more water rapidly without noticing it! 2. Moisturise your throat and lungs. Haha...no, you did not misread that sentence. Traditional Chinese Medicine believes that you can take certain herbs and fruits to soothe and 'moisturise' the throat and lungs. One of these concoctions would be Pe Pa Kao and pssst it's one of the items in the Mystery Box! 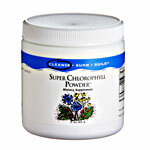 I go even further by drinking water with Chlorophyll powder as this aids digestion and overall cleansing of the system. Best thing is that this chlorophyll powder is tasteless but yet rich in nutrients so even if I forget to take my supplements for the day, I don't sweat it. It helped me cope with my eczema during this haze as moisturisers were not really soothing the itches and broken skin. 3. Wear sunblock. Especially on your face. Although we can't see the blue skies and we're able to peer up into the sky at look at the sun, those damn UV rays are still coming through all the dust and particles. Sadly. So, your skin is still exposed and you'll still need to bring out the SPF. 4. Wash your face twice a day - morning and night. Even if you don't go out of the house. I found that even when I'm at home the whole day, I used a moist towel to cleanse my face and it came out a bit dirty. There's so much dust outside, you really don't want it to remain on your skin and clog up your pores. For those with skin problems, you may need to even take a full shower at night and moisturise properly before going to bed. We all can't wait for the haze to disappear and I really hope that it pours down on Indonesia, extinguishing all the fires! In the meanwhile, ladies, please stay safe and beautiful always!